“Worse” is the conclusion offered by David H. Freedman’s MIT Technology Review article, “Sellout of the American Dream.” Freedman uses a venture capital firm’s social experiment as a launching point to decry the policy of Universal Basic Income (UBI). In a more recent article on TechCrunch, we learned that Y Combinator’s initial plans have been scaled back: “The company has changed course. It will begin the research with a short-term study in Oakland. […] Depending on how the pilot goes, Y Combinator may continue with the long-term study.” Next, a report in the San Francisco Business Times confirmed the basic story, based on a blog post by Y Combinator’s CEO, Sam Altman. Finally, last week, an article at the website TheNextWeb reported that Y Combinator would provide $2000/month to “up to” 100 households in Oakland. All very enthusiastic, but messy. The details of the Y Combinator experiment seem irrelevant to Mr. Freedman, as he has already decided that UBI won’t work. Freedman cites three barriers to success for UBI: UBI would be too expensive, UBI might destroy the “work ethic,” and UBI is a solution in search of a problem, because automation has always created as many jobs as it destroyed. Let’s take these issues one at a time. Too expensive? Mr. Freedman can offer little proof of the cost burden of a UBI program, since there’s no active proposal under consideration. Costs would depend on the level of support, the scope of eligibility, and the savings from reductions in other economic support programs like housing vouchers and food stamps. Without a plan, it’s all “made up” numbers. For example, Freedman posits that a $10,000 annual UBI benefit program would be “at least twice as expensive as current antipoverty benefits and administration,” adding between $1 billion and $2 billion to the federal budget. Discourage work ethic? Maybe, but that’s the purpose of social experiments—to assess how a guaranteed income might affect a range of social choices from employment and education to housing, health, and domestic relationships. How ironic that MIT Technology Review has opened its pages to an author who has prejudged the outcomes. Unnecessary? Freedman’s claim that there’s no evidence that automation will destroy great swaths of paid employment is just wrong. There’s plenty of evidence that both manual labor and professional services can be automated. The bigger question is the extent to which UBI will support the displaced versus promoting displacement. Recall just a few weeks ago, when Wendy’s CEO Todd Penagor predicted that robots would replace fast food workers as a result of increasing the minimum wage. Truth or fiction? Maybe some social experiments could help policy makers gauge the impacts. Throughout his article, Mr. Freedman suggests that UBI is a gimmick or conspiracy. That sentiment fits nicely with the theme of Mr. Freedman’s most recent book, 2014’s Wrong: Why Experts Keep Failing Us—And How to Know When Not to Trust Them. 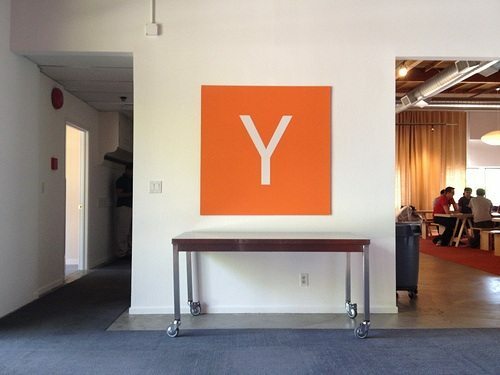 Unfortunately, the antics of Y Combinator make them a perfect foil for Mr. Freedman’s conclusions. Maybe if he had focused on the other UBI experiments he briefly referenced going on in Finland, four cities in the Netherlands, and the province of Ontario, he could have offered a more rigorous analysis of the concept of UBI. Alternatively, Mr. Freedman could have referenced other recent news stories about UBI. A much more nuanced discussion of UBI can be found in the pages of In These Times, where two “progressives” debate the opportunities and challenges of UBI. A week before Mr. Freedman’s article was published, Wonkblogger Max Ehrenfreund noted, “Proponents on the left say this kind of system would reduce poverty without the stigma of welfare, since everyone would benefit from it. Supporters on the right say that programs that are available to only those with incomes below a certain level penalize the poor for working more, and that paying everyone a similar amount would get around this problem.” And just this week, former union leader Andy Stern’s new book Raising the Floor hits bookshelves. The book features interviews with CEOs, investment bankers, and worker advocates in support of UBI. Y Combinator plans to run a test involving 3,000 families in Oakland, California to assess the impact of providing families a “basic income” of $1,000 a month. The pilot’s launch has been complicated, but the trial is now slated to begin next year.